Ubon Ratchatani, Thailand, 24 November 2009 – As the 9th National Plant Protection Conference begins today in Ubon Ratchatani province, northeastern Thailand, the Alternative Agriculture Network – Esan (AAN) has prepared a statement on the current crisis surrounding the use of agrochemicals in our food system. For more background information, please read our recent reports on Carbofuran and Kudchum District. 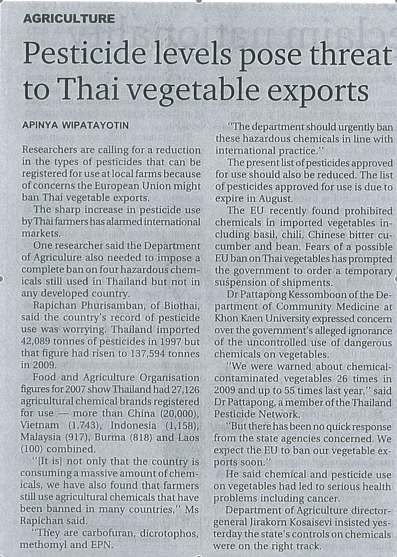 In meeting with agrochemical company representatives at this conference, Thailand’s agricultural researchers and government representatives are neglecting their role in controlling the import and use of pesticides and other agrochemicals. 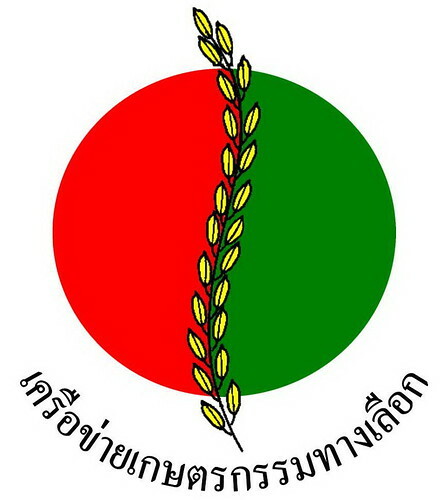 The Ubon Ratchatani provincial strategy for economic development points out that it will “develop organic agriculture,” and both Yasothon and Sisaket have organic farming in their provincial “visions.” Roi Et, Surin and other Esan provinces also have organic farming policies. I am very sad that the CEO of the Kenyan Pest Control Products Board (PCPB), Mrs Gladys Maina cannot have a serious conversation with us about carbofuran poisoning in Kenya. She appears to be bitterly angry that WildilfeDirect has called for a ban on this product. This does not make a lot of sense to me since her job is not to protect the agrochemical industry but to protect consumers and the environment. My efforts to discuss issues with her on phone have always involved accusations that I am an ‘activist’ and that I have a personal grudge against her. It’s silly I know but even if it were true, that does not relieve Mrs Maina of her duties as the CEO of the PCPB. 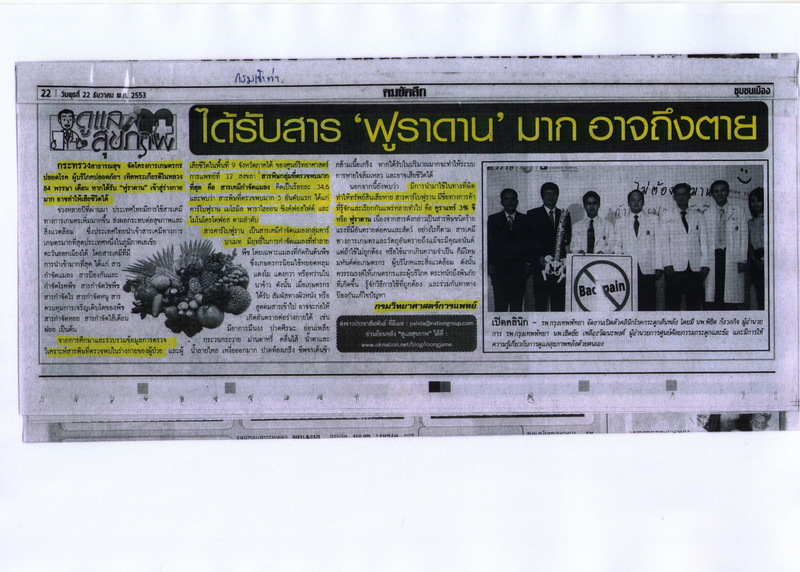 The vision of the PCPB is to be the leading regulatory agency for pest control products in the region. 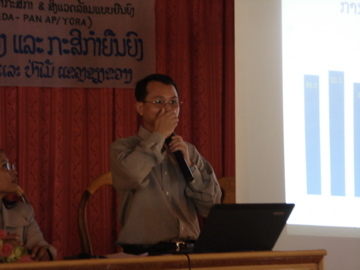 Ubon Ratchatani, Thailand, 23 November 2009 – Following the incident surrounding the plant disease “natural disaster” in Kudchum district, Yasothon province, the AAN has compiled further research to raise public awareness about the impacts of carbofuran (Furadan) on the environment and human health.